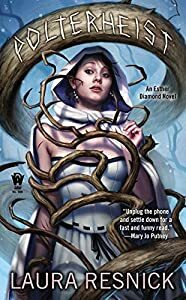 Amazon has the cover art and synopsis of Catherynne M. Valente’s upcoming essay collection Indistinguishable from Magic, coming March 2014 from Mad Norwegian Press. In Indistinguishable from Magic, more than 60 essays by New York Times-bestselling author Catherynne M. Valente (The Girl Who Circumnavigated Fairyland, The Girl Who Fell Beneath Fairyland) are brought together in print for the first time, sharing Cat’s observations and insights about fairy tales and myths, pop culture, gender and race issues, an amateur’s life on planet Earth and much more. Join Cat as she studies the fantasy genre’s inner clockwork to better comprehend its infatuation with medievalism (AKA “dragon bad, sword pretty”), considers the undervalued importance of the laundry machine to women’s rights in locales as wide-ranging as Japan and the steampunk genre, and comes to understand that so much of shaping fantasy works is about making puppets seem real and sympathetic (otherwise, you’re just playing with dolls).